Captain Ditto here. Are you a new Pirate, just landed on Skull Island? Has Captain Avery gifted you with your first ‘Ship’, and suddenly you find yourself the proud owner of something resembling leaky barrels held together with shoestrings and tape? Is your hat more seaworthy than that poor leaky raft your call a ship? It can be rough out there on the high seas, with pirates, brigands, batacuda and worse, all trying to take a bite out of your, um… hull… So what’s a Pirate to do? Fear not – The Admiral’s Bundle has the answer!!! So how do you win? Well, since I only have two of these highly valuable prize bundles, I’m going to make you work a little for it – you need to show me how much you need a shiny new warship. Take a screenshot, or draw a picture, or use Photoshop – do something to show me just how bad your current ship is. Is it a raft surrounded by hungry sharks? Maybe you’re in a rowboat trying to escape a warship? Maybe it’s a little X-Wing fighter trying desperately to get to that thermal exhaust port – it’s up to you, be creative and have fun! Send your picture, and your pirate name, to dittopirate@gmail.com with a subject of ‘I need a ship!’ – Show me how desperately you need a ship, and maybe you’ll win one!! You have until Sunday, November 25th at midnight EST to enter, and I’ll announce the winners within a few days (might need some time to go through all that artwork). One entry per pirate, please, and make sure you keep those pictures safe and family-friendly. And most importantly – have fun!! Good luck! This entry was posted on November 19, 2012 by dittowizard. 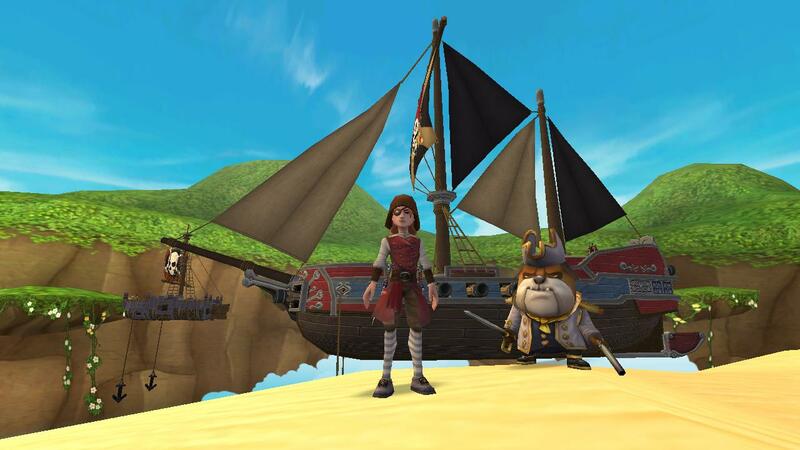 It was filed under Contest, Pirate101 . Will the winner be decided by Host’s favorite or random drawing? Great question – Though I usually prefer random drawing, with the amount of work people will put into this one, Miss Narrator and I will choose our favorites.